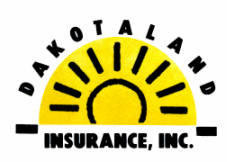 At Dakotaland Insurance, we are committed to providing you with the best possible service and earning your business. Whether it be Farm, Auto, Crop or Health Insurance we have a product for you. We are a Trusted Choice Agency with access to a broad array of companies and competitive pricing. Contact us and let us tailor fit a policy to you!